I do concept design, product development, user research and consulting in diverse teams, for a diverse set of clients. HTML5 is my bread and butter. After 12 years of creating web, mobile & game products, I still create cool things while teaching myself and others every day. I currently work in product design in Berlin, Germany. I'm also available for interesting freelance projects either locally or remotely. I'm currently leading the product design of the media agency DCMN in Berlin. I write about my work, design, tech and digital services. Follow me on Twitter and Medium. I ideate and develop new product concepts. I design visuals, user interaction and workflows. I research product concepts and validate assumptions that rely on user behavior. I user test design solutions to ensure that products are delivered in a usable an emotionally resonating form. I'm a mobilizer who will break through traditional organisation structures to drive product decisions based on customer needs. With workshops, coaching, hand-to-hand guidance or bespoke audits and reports, I help your experts reach great performance, or embed design thinking into your team. I work with complexity in domains such as analytics platforms and payments involving critical business functions and backoffice operations. I will find a way to deliver complexity to end-users, partners and internal ops teams in a usable way. I create design materials as part of scalable product design pipelines. This includes toolchains for desig work, user testing, prototyping, feedback and developer handoffs. If you’ve heard people talk about design systems, that’s all part of it and more. I write clean and scalable frontend code. Fast. I’m an HTML and CSS expert, a professional Vue.js developer and familiar with React projects. I'm very comfortable with modern web tech stacks and can contribute to architecture and backend development. The Jira alternative that just works. Vue, Jest, Nightwatch, Sass, SVG, GitBook. Creative works over the years. 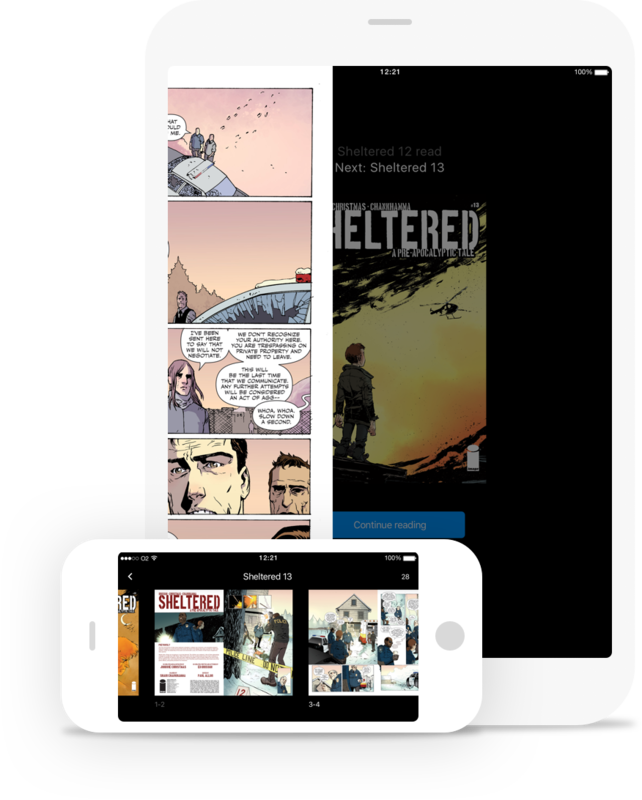 Read digital comics with the most elegant comic experience on iOS. These are some of the companies and clients I've worked for. See my full project history to learn more. I wrote this site with Vue, Nuxt and Contentful. Smooth sailing.